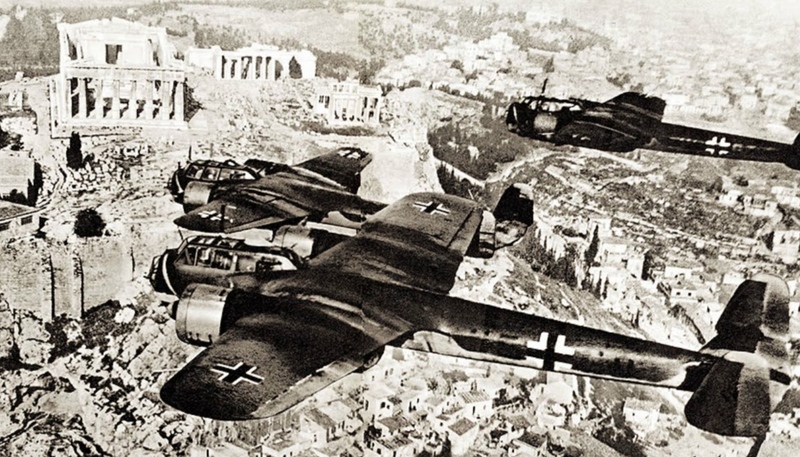 Der Spiegel reports that Greece will claim €280 billion ($323 billion) in WWII war reparations from Germany. Specifically, Spiegel writes that Greece wants to collect 280 billion euros from Germany / As long as Greece was on the EU drip, Prime Minister Tsipras avoided claiming reparations for Nazi war crimes. But now, after the last rescue package, Athens wants to act. According to the Greek Reporter, the German magazine notes that Greece was avoiding raising the issue during the bailout program, but now is the time to renew the campaign and claim the money. “The issue is resurfacing a few days before the official visit of Germany’s President Frank-Walter Steinmeier to Athens where he will meet the President of the Republic Prokopis Pavlopoulos and Tsipras. Der Spiegel says it is no coincidence that the two highest ranking Greek politicians have both raised the issue in the last few days. It marks the beginning of a long campaign, which, according to the German magazine, will start in November. The Greek Parliament will endorse an audit report ready since August 2016, according to which Greece is entitled to €269.5 billion of repairs from the Second World War. In addition, Greece demands the repayment of a €10.3 billion occupation loan. The report remained under wraps throughout the last two years, but Tsipras seems ready to bring it back to the surface and start a campaign for war reparations, says Der Spiegel. In the second phase, Greece intends to present its arguments at world organizations such as the European Parliament, the European Council, and the UN. In the third phase, Greece plans to call on Germany to negotiate war reparations. For its part, the German government is expected to reject the request. Already in the past, it has made it clear that Greece has no legal right to claim damages for the Second World War.